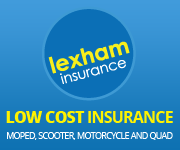 If you have never ridden a moped, scooter or motorcycle before, then it is extremely advisable to book a basic riding lesson before you do your CBT. This lasts for 1 hour (more time can be booked if required), on our safe tarmac training area, and gets you familiar with the controls and operation of the machine, as well as getting used to setting off, stopping and riding around the training area. If you pick this up quickly and are comfortable, then the Instructor may add other elements that will make it easier for when you take your CBT. To help you further with your CBT it is essential that you obtain and understand an up to date copy of The Highway Code before attending the CBT. Before booking a CBT, you will also need to have a valid Provisional License or full Driving Licence. If you do not wish to take up this training and subsequently fail to reach the satisfactory CBT assessment level, you would have to come back for a CBT Completion which would cost more than doing this initial introductory riding session.